The role of turfgrass in our communities has long been an important one, though in recent years much has been made of the wastefulness of maintaining a “perfect” lawn. This view often neglects many of the positive attributes of turfgrass including oxygen production, removal of carbon from the atmosphere, reducing the heat island effect, preventing erosion and filtering rain water. We believe in the value turfgrass provides in our towns and cities, but also recognize the importance of sustainability in the plant material we chose and the maintenance practices we promote. Here are a few things to keep in mind if you want to enjoy all the benefits of a grass lawn, while minimizing the negative impacts. Not all grasses are created equal! Manderley is a proud partner of the Turfgrass Water Conservation Alliance (TWCA) an independent organization leading in the research and development of varieties that require as little as half the water, in the case of Kentucky Bluegrass. 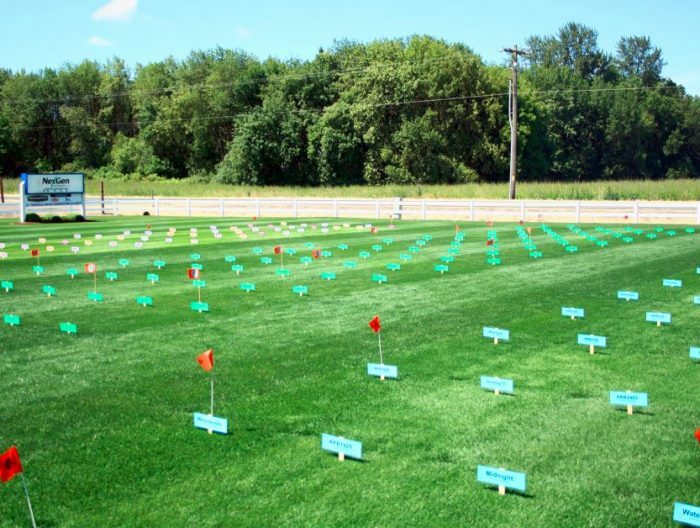 With the TWCA’s help, Manderley released the first drought tolerant qualified line of sod and seed in Canada. Our Less Water line of products cut irrigation requirements in half and can go between 4 to 6 weeks longer without water than a conventional turf mix before going dormant (often mistaken as dead). Selecting a product that requires less maintenance is only half the battle unless you are also changing your maintenance habits to take advantage of the savings. As a rule of thumb, most conventional lawns are said to require 1” of irrigation per week, including rain. This is by no means an exact science as it doesn’t take into account factors like temperature, plant genetics or even timing of maintenance. Keep an eye on your lawn and only water when it looks like it needs it. Grass areas will have varying percentages of green cover before reaching dormancy. 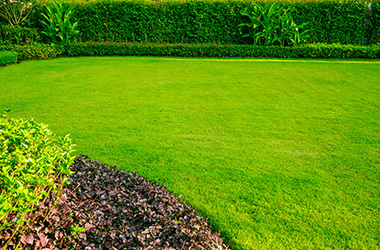 Ask yourself, does your lawn really need to be 100% green? Can you notice a real difference between 80% and 100%? 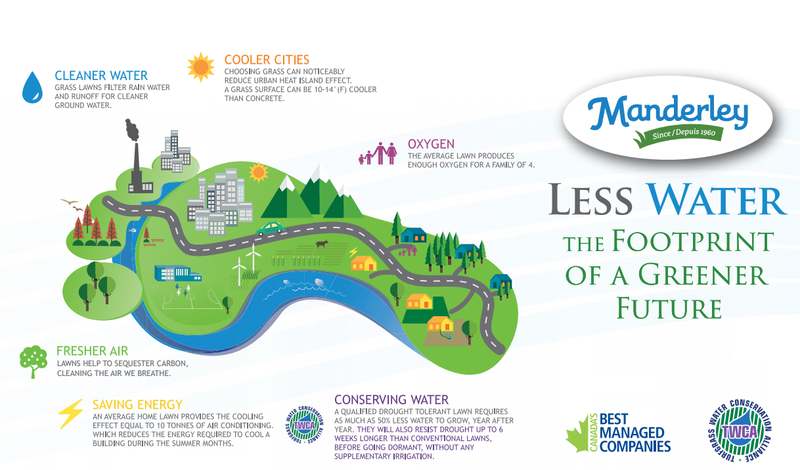 Even when it isn’t entirely green your lawn is still producing oxygen, cooling your property and promoting a healthier lifestyle. Answering this question could quite possibly save you even more time and water. Water only when it’s most effective to do so. 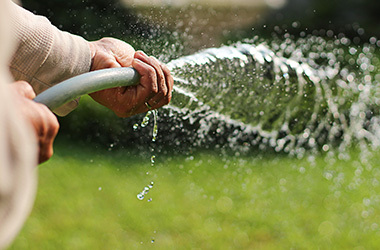 During the warm summer months, watering during daylight hours is the most wasteful thing you can do, as much of the water will be lost to evaporation. 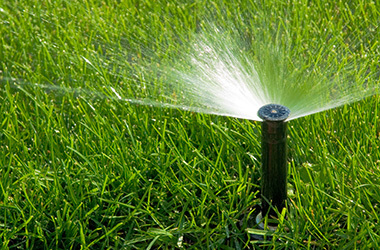 Watering in the early morning is the most efficient way to maintain your lawn, as there will be little evaporation loss and less moisture build up, compared with watering at night, which can lead to the development of mushrooms. 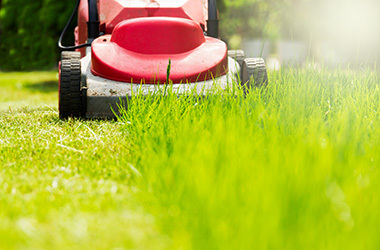 Mowing is always going to be important in maintaining a healthy, Kentucky Bluegrass lawn, but following mowing best practices can help to ensure you aren’t mowing too frequently. Still feel like that’s too much mowing? Why not consider a sod or seed blend with a higher proportion of Fine Fescues which can be left to grow longer than Bluegrass? This could help to reduce your time spent mowing, plus they perform well in shaded areas. 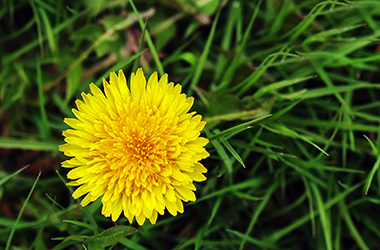 For many people, having a lawn with even a few dandelions is out of the question. To achieve aesthetic perfection, we spend a great deal of time and effort fighting to remove weeds from our lawns, but are we actually better off in doing so? If you look at your lawn as less of a decorative space and as more of a functional and, more importantly, living area, weeds aren’t really a problem. In fact, weeds like dandelions and white clover help to improve your soil through aeration, nutrient accumulation and even nitrogen fixing. Redefining our outlook on weeds could go a long way to helping make our lawns more sustainable.